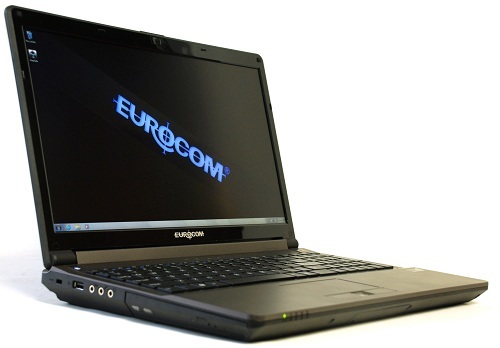 Eurocom Corporation (www.eurocom.com), a developer of long lifespan, high performance, fully upgradable Notebooks and Mobile Workstations is launching a demo program to provide innovative form factors to resellers to develop new markets, opportunities and attract new customers. “Eurocom provides innovative form factors to resellers to allow them to develop new markets, new opportunities and new customers that other, more general products cannot.” Mark Bialic, Eurocom President. Eurocom products are fully customizable and upgradeable, allowing resellers to tailor each system to their customer’s needs. Eurocom offers a full line of Mobile Workstations, Gaming Notebooks, Ultraportable Laptops, All in One Desktops and Mobile Servers that are completely upgradeable and customizable to allow resellers to choose the exact system and configuration they wish to offer their customers. Eurocom products are built with the most innovative hardware components and features on the market to set them apart from the competition. A high quality Eurocom manufacturing and production testing process protects customers and helps to confirm all orders are perfect before shipping. Eurocom provides tools to dealers to allow them to grow their business, prosper as well as capture new customers and markets. Benchmarks of our system with a variety of different components allow resellers to show the performance gains of certain hardware, such as NVIDIA Quadro Graphics, Intel Xeon Processors and Enterprise Level Solid State Storage. “The freedom to configure Eurocom hardware to suit your customers needs allows resellers to rise above the competition” Mark Bialic, Eurocom President. Eurocom has a dealer demo program to allow resellers to purchase discounted hardware to have at their location for customers to see firsthand and test before making a buying decision. A dedicated account manager from Eurocom gives resellers the ability to have a person dedicated to assisting them and managing their needs as well as help the reseller build and expand their business with personal expertise.